As one of the world’s most exciting cities, Dubai has some truly incredible locations that deserve to be visited, with one of the most popular of them being Atlantis, The Palm. An architectural marvel and visual treat, this iconic luxury 5-star hotel has been a must-visit family entertainment and lifestyle destination since it opened its doors to the world in 2008. 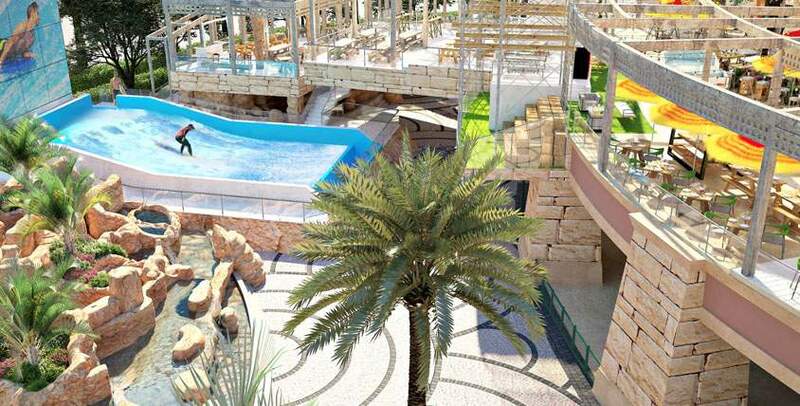 With an amazing array of signature underwater suites, unique marine and waterpark attractions, unique family-friendly entertainment offerings, such beautiful panoramas, a permanent summery vibe and picturesque backdrops, Atlantis Dubai is a family fun & adventure goldmine. Find a world away from your everyday, the perfect escape right here at Atlantis, The Palm and it’s all yours for the taking! Fancy taking part in recreational and leisurely pursuits of a different kind? At Atlantis, you will encounter a truly epic, multifaceted entertainment and recreational venue, where a rustic beach bar meets a gastropub to provide entirely new kinds of play and entertainment possibilities for both adults and kids. Overlooking Aquaventure Waterpark, Wavehouse at Atlantis Dubai combines the best in dining and entertainment to give an impressive experience unlike any other. The new-age social recreation destination merges hours of adventure, discovery and fun with live entertainment, fantastic food, creative beverages and high-energy nightlife options. Its versatile, dynamic approach to family entertainment includes an adult-only bar, family restaurant, four-lane bowling alley and sprawling terrace with outdoor, and insta-worthy bar with DJs. As an all-year-round attraction, Wavehouse features a host of activities for all ages, including a cutting edge surfing site that replicates a real ocean surfing wave through the use of wave technology. Take on a modern arcade and game zone, destined to keep the younger ones busy for hours. Send the kids off to tackle the climbing centre, test your skills on the old and new-school game consoles, kick back on the video game favourites or collect your tickets to redeem some big prizes at the ticket office. What’s more! You also can lounge on the sprawling beachside terrace while catching all the pipeline action, or take to the waves yourself on the state of the art Waverider machine, available to both waterpark and Wavehouse guests. 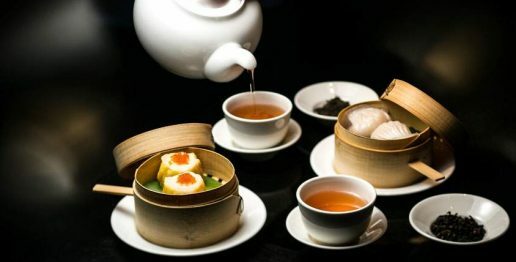 The Michelin-starred Hakkasan in Atlantis Dubai is guaranteed to blow you away from the very first bite. The Taste of Hakkasan Stay and Dine Package promises a wholesome break with a generous dose of adventure for your eyes and palate. 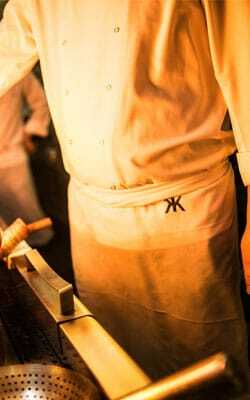 Taste of Hakkasan is a unique, must-do dining experience for residents and visitors of Dubai. The specially crafted three-course menu includes sake by tokkuri, signature dishes such as the supreme dim sum platter, roasted truffle duck with mushroom tea tree and a decadent dessert selection handpicked by the chef. The experience unfolds as you relax and enjoy stories about the history and traditions woven into the creation of sake and the most sought-after dishes, specially created for you by Hakkasan’s culinary masters, to enjoy it with. Celebrate the Festive Season in spectacular style by indulging in an array of festive menus, exclusively crafted for you by globally acclaimed chefs such as Gordon Ramsay of Bread Street Kitchen and Nobu Matsuhisa of NOBU. Whether you choose to enjoy an intimate dinner overlooking the majestic Ambassador Lagoon at Ossiano, or celebrate with your family at Saffron, with an elaborate selection of decadent exotic cuisine, you will love spending it the marvellous and magical surrounding at Atlantis. Cirque De Cuisine – Winter Wonderland Edition of Dubai’s Biggest and Most Exciting Brunch Experience! For an indulgent Christmas sit-down-dinner in Dubai, make your way to the Christmas edition of Dubai’s biggest evening dine around event, Cirque De Cuisine on December 6, 2018, in The Avenues at Atlantis. This year, The Avenues will be transformed into a traditional winter wonderland-themed Christmas feast! 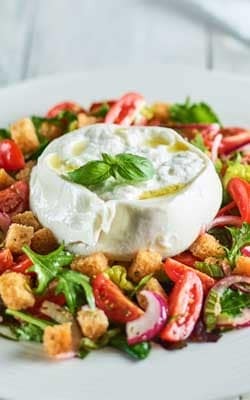 You and your family will enjoy signature creations from Michelin-starred chefs, tasting sessions at live cooking stations, traditional Christmas dinner buffets, unlimited drinks and whimsical live entertainment in a traditional winter wonderland setting, treating your senses to the ultimate Christmas gourmet feast in Dubai! Each participating restaurant is within a two-minute walking distance of each other, allowing you and your family to roam and sit freely in any outlets during the night. More than a 1,000 seats are available inside the restaurants and on terraces with additional high tables set up throughout The Avenues. Don’t miss the show stopping festive acts by Dubai’s very own, Cirque le Soir. Buy tickets for Cirque de Cuisine as soon as you are able as there is limited availability. To know more, call +971 4 426 2626. 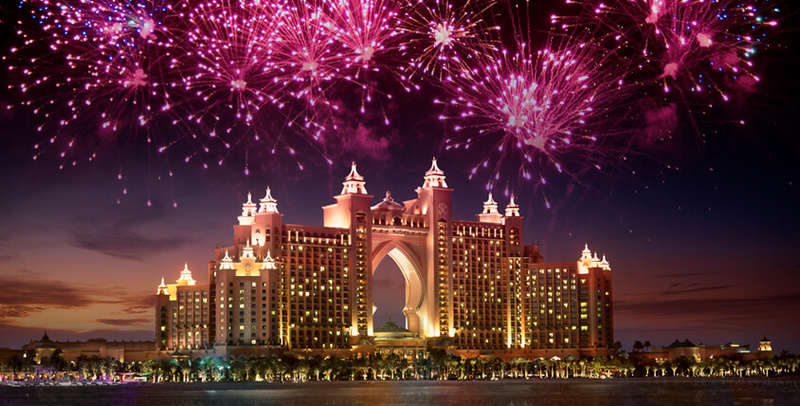 Find your perfect Christmas and New Year’s Eve staycation experiences in Dubai at Atlantis. Christmas at Atlantis is back and features a winter wonderland themed staycation package. Stay 3 nights or more over Christmas and enjoy a complimentary Christmas Brunch or Lunch on Christmas Day, in true Christmas spirit at Seafire Steakhouse, Ronda Locatelli or Kaleidoscope! 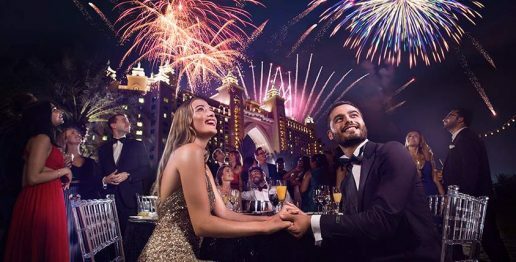 If you prefer experiencing an elevated festive getaway, from experiencing the grandeur of Christmas to ushering 2019 in the most memorable and spectacular fashion in Dubai, then the New Year Party Package is perfect for you. Simply stay 7 nights or more over New Year’s Eve and experience the beauty of spectacular fireworks, savour delicious food and feel positive vibes of the festive season with everyone in the family. 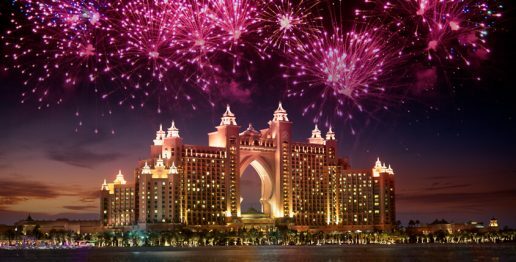 The Atlantis Royal Gala – The Most Exclusive New Year’s Eve Party in Dubai! Welcome in 2019 and make your New Year’s Eve memorable beyond words with the exclusive New Year’s Eve Royal Gala held by the beach. Begin the evening at 7:30pm with a stylish Champagne & Canapé reception in Asateer where a 30-piece live band kicks off the night’s entertainment at 8pm and plays through until 3am (The bar will be open all night serving unlimited premium alcoholic and non-alcoholic drinks including free flowing champagne). Indulge in the world-famous Atlantis Royal Gala Dinner with a luxury buffet from award-winning Atlantis restaurants serving everything from Lobster and Caviar through to Smoked Salmon and Sushi, as well as live cooking stations and children friendly buffet stations. 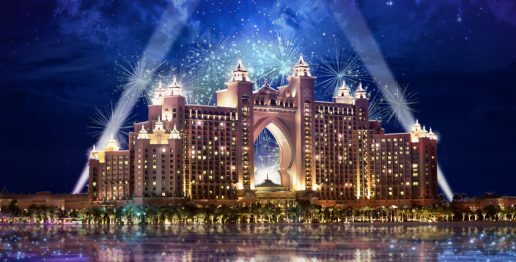 Enjoy Festive views of The Palm, the Dubai skyline, the most spectacular fireworks display you’ll ever see and the most captivating live musical entertainment you’ll ever hear at this spectacular New Year’s Eve celebrations in Dubai – only at Atlantis The Palm! Kids under 12 can look forward to celebrating the New Year’s Eve with their parents at Asateer, in their own complimentary exclusive ‘Under the Sea’ area. The little ones will be able to enjoy a night packed with arts and crafts, an enormous slide, a bouncy castle, an outdoor cinema, under the sea themed activities, fireworks and live entertainment. Book your table at the Atlantis Royal Gala. Alternatively, you can email or call +971 4 426 2626. This year the Gala Dinner will invite guests to dine under the stars at the breathtaking Atlantis Royal Beach with a range of dining packages and an open bar from 10pm. Atlantis recently opened the coolest hangout spot for teens. It’s an adult-free, teenage club, called The Zone. A place for teenagers to have their own fun away from mum and dad. Located next to the Atlantis Kids Club, this cool hangout offers a tonne of activities and games to keep teens entertained and amazed, so they can make the most of their holidays. Limited spaces are available and pre-booking is required. For more information or to book, please call +971 4 426 1413 or email our Reservation team. Among other things, unique and exclusive at Atlantis, is a luxury experience that offers many memorable moments. 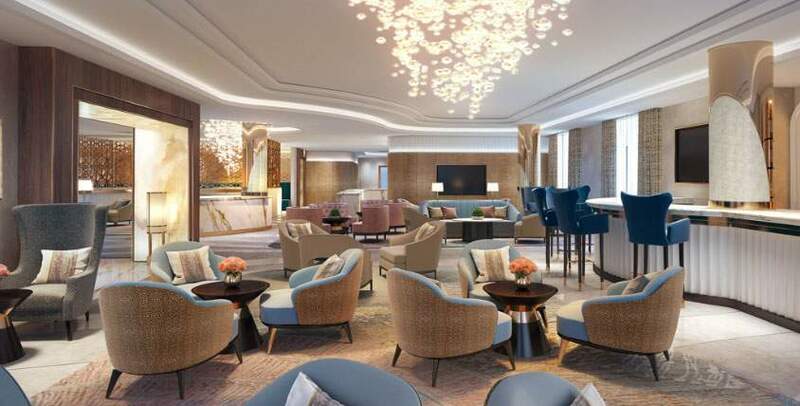 The Imperial Club, which is going to open soon, will prove a defining experience for your stay at the hotel. Complete with an array of exclusive features that include personalised service, complimentary breakfast and private access to the sandy beaches of the resort, it won’t be long before you’re out there posting about your picture-perfect seaside holiday. The Imperial Club is the perfect choice for guests seeking additional luxury and comfort, with extra benefits worth over AED 3,000 per day. Take a look at some of the top facts about Atlantis Dubai If you are curious to learn more about this all-inclusive luxury holiday destination and check off the most-sought after things to do in Atlantis’ bucket list. 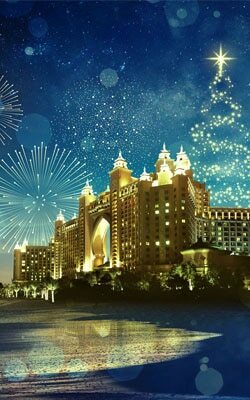 Atlantis Dubai Offers Galore This Festive Season! The exclusive American Express Offer is your opportunity to experience a world away from your everyday! Whether you are looking to stay with us or visit for the day, use your American Express card to enjoy 20% off on Imperial Club Rooms, Suites and Signature Suites; dining at select Atlantis restaurants, ShuiQi spa, select marine and waterpark experiences. American Express Offer is valid for booking until 18 May 2019 and stays between 02 November 2018 and 31 may 2019. Emirates Skywards Day & Stay Offer – An offer you wouldn’t want to miss! Families staying at Atlantis can avail 15% off Guest and Imperial Club rooms, and double their Skywards Miles, and 20% off Club and Signature Suites, and triple Skywards Miles. Kids stay, dine and play for FREE throughout their holiday too with the Emirates Skywards Offer. At Atlantis, The Palm, we have activities to entertain our guests every season. This festive season, we would love to entertain you and your family in more extraordinary ways than one in a world away from your everyday!